Can you imagine how fun it would be to speak to a fellow language lover who&#39;s encouraging you to share ALL your language questions, from comma conundrums to relative clause regrets? Let me tell you, this utopia exists in New York City. In today&#39;s episode, I brought back Ellen Jovin, one of the most inspiring language lovers I know. And Ellen has a brand ... See More new project to share - in fact, an inspiring message of encouraging conversation about language . 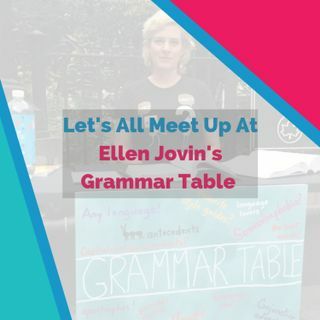 Ellen&#39;s new project is called Grammar Table, and it&#39;s free for all of us.